I have to admit that Curvissa is quite a new website to me. When I am looking for new clothes it is often a website that I overlook for forget to check - but without good reason! 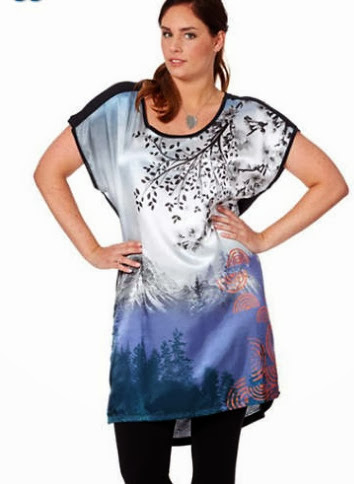 When I was looking for Christmas dresses and going through all the plus size retailer websites I thought I would check theirs out, I was not left disappointed. Ever since I saw their check print pinafore dress, I was hooked! These dresses could be worn at Christmas (I found them while researching that after all) but mostly they're just nice, pretty plus size dresses - which we all know can be a bit of a rareity. I really like how the pattern of this dress works and that it is a little different to alot of the dresses on the market at the moment. 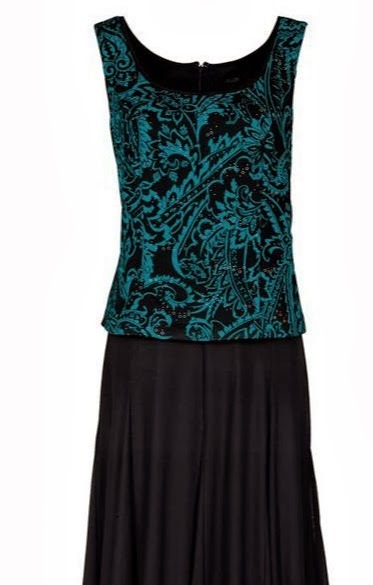 If you look at lots of the dresses that are on offer you'll see that many of them are skater dress shape or similar, I love those but it is nice to see Curvissa offering something different. This tunic dress is only £35.00 and I think could be accessorised for either night or day wear. You can get this dress here. I have been looking for a vintage style tea dress for ages, so when I saw this one I had to blog about it! This is definitely a dress to add to my 'must buy when I am rich list' - it's lovely! I love the fact that it is a classic style with a classic black and white colour throughout most of it, with a pop of colour at the bottom to make it stand out! I love the sleeves but also it is the type of dress that could be teamed up with a pretty cardigan if someone didn't want their arms on show. This dress is only £42 and can be bought here. If you have a little more money to spend then this is definitely a dress you could invest in. Although it is £110 I think it would be a good investment piece. You can easily keep the dress (which is also available in black) in your wardrobe and bring it out for any number of occasions. I love the pattern and shape of the dress, it's definitely one I would love to own. You can buy this dress here. Have you ever shopped at Cuvissa? What did you like about them?